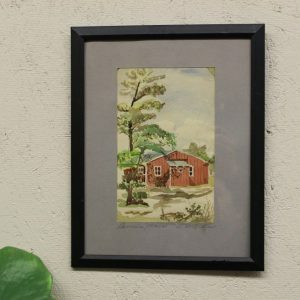 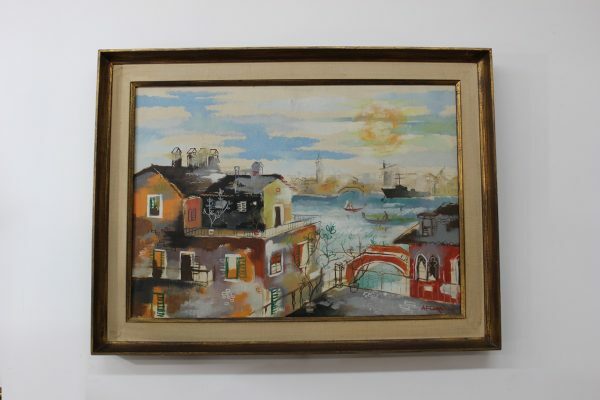 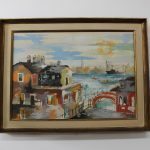 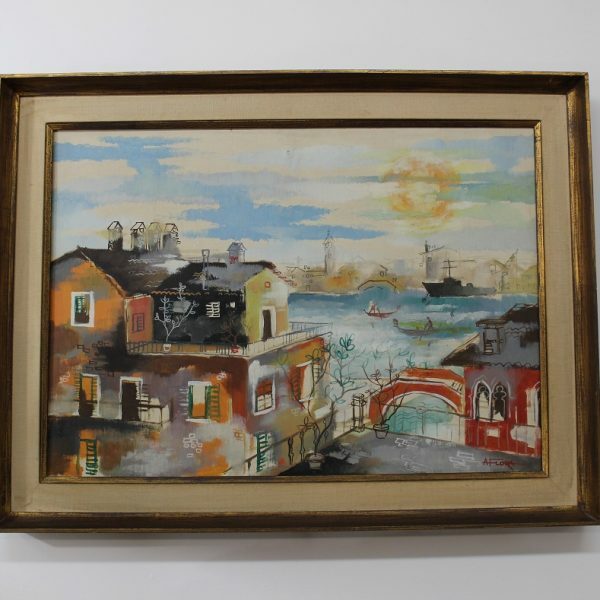 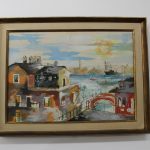 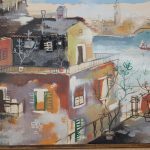 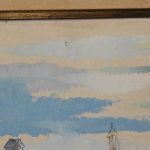 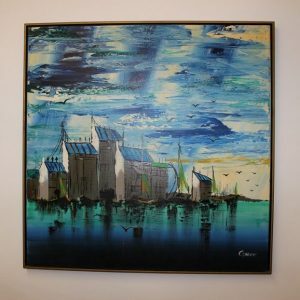 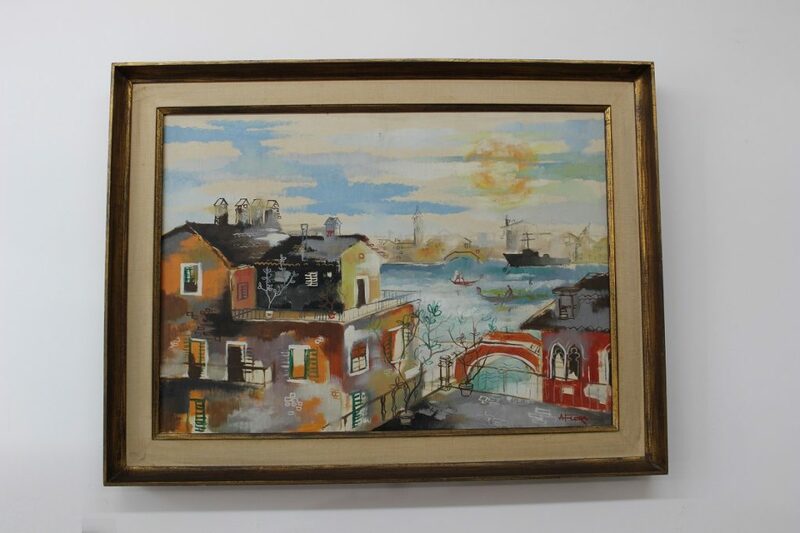 Take a look at this beautiful Mid Century Modern colorful painting, it comes to you with a 1960’s, frame finished in a copper tone-wood. 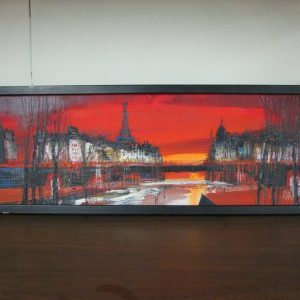 It was painted on board and the colors are still vibrant and beautiful. 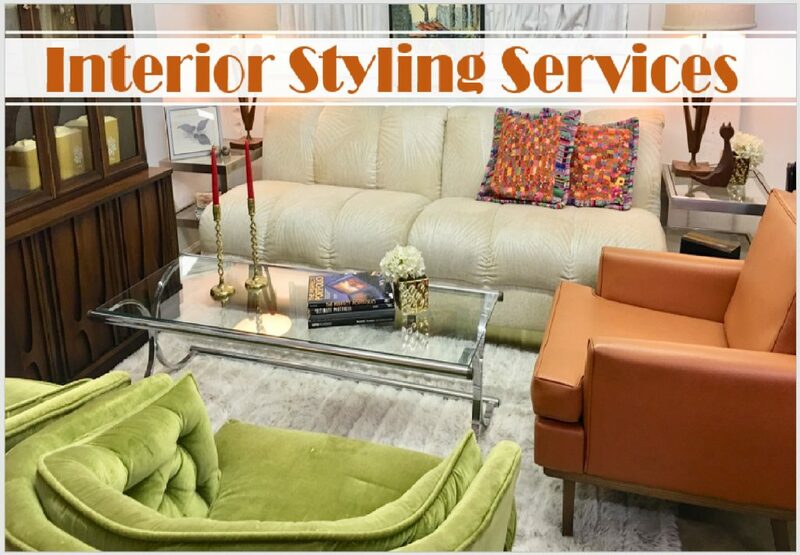 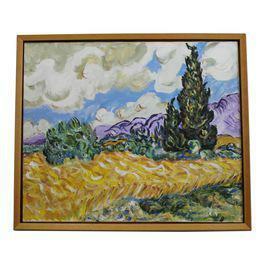 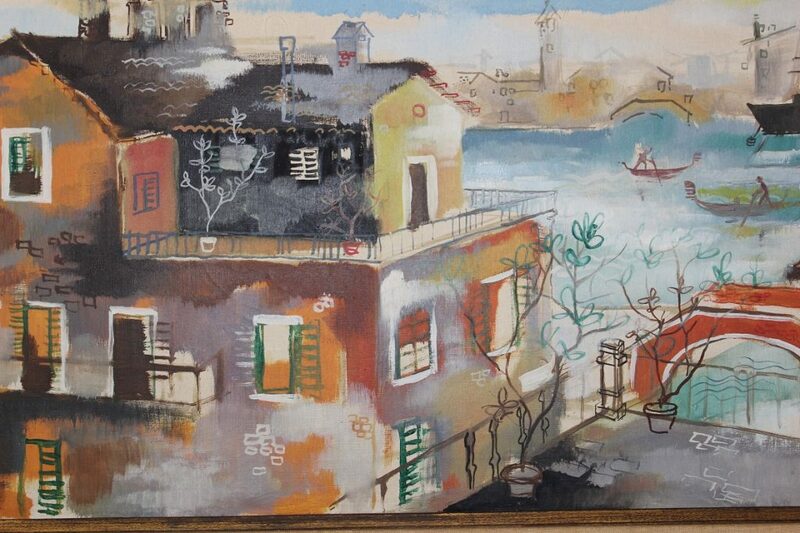 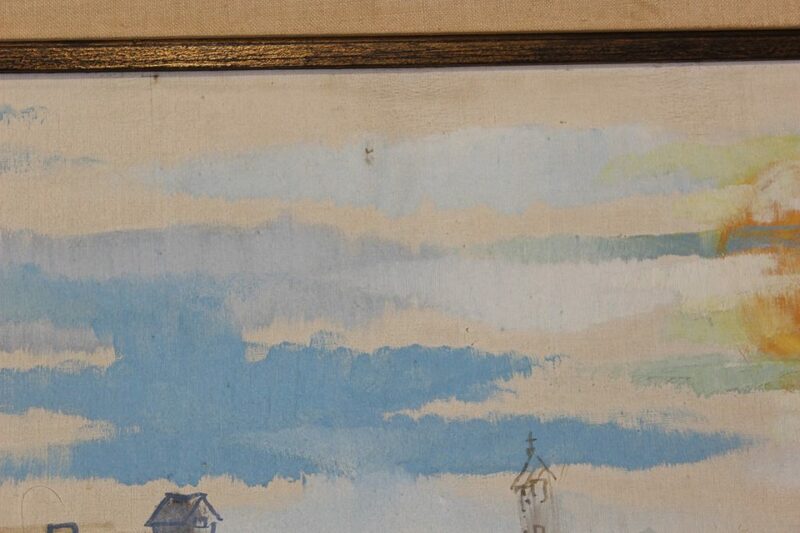 The painting itself is 27″ x 19″ and including the frame, it is 32 1/2″ by 24 1/2″. 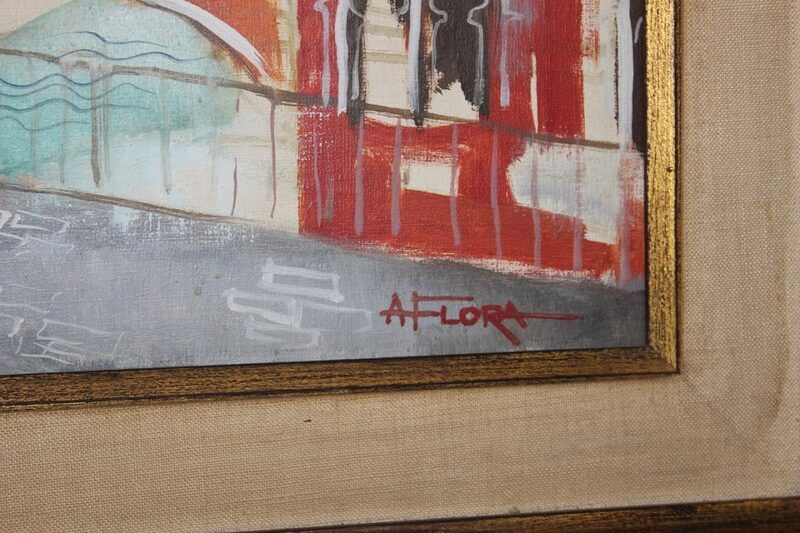 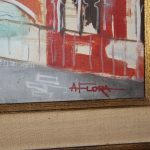 It is signed by the artist A Flora.